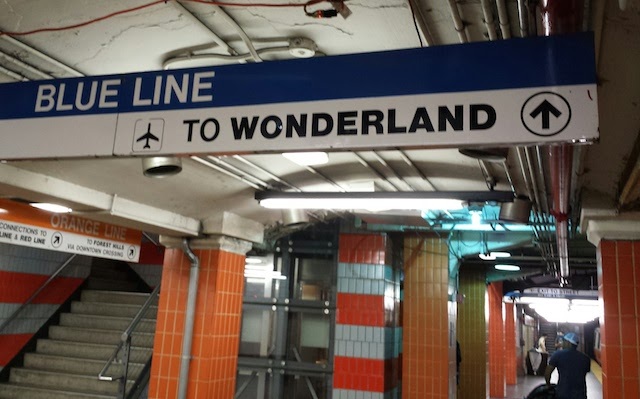 I love that Boston has a subway station called Wonderland. And since it’s the north end of the line, all the direction signs read like this one. Apparently it’s named after an old amusement park in the area that ran from 1906-1911, and later a dog racetrack that picked up the name in the 1930s. I wonder how many Boston kids have looked for tiny doorways hidden in the walls, or white rabbits hopping through the train stations. This entry was posted in Highlights, Signs of the Times and tagged Alice in Wonderland, Boston, trains on September 8, 2015 by Kelson. While writing up my last post, I remembered something that really bugs me on Metrolink’s website. The fare calculator tries to make the train cost look more appealing by showing you how much you’d spend driving the same trip, using a factor of 54.1 cents per mile from AAA’s driving cost formula. 1. They’re using the average value of all the cars on the road. Drive a gas-guzzling Hummer? A fuel-efficient Prius? Same cost estimate. 2. They’re using the formula wrong. It’s not intended to answer the question of “How much does this trip cost?” but “How much am I spending overall to use this car?” So in addition to fuel and maintenance, it also includes static costs of owning a car, like registration, insurance, interest payments, etc. Things that you’ll be paying whether you drive it today or not. So unless you own an average car and plan on getting rid of it entirely, the comparison doesn’t actually tell you anything useful. But it does make Metrolink’s ticket prices look cheaper. This entry was posted in Annoyances and tagged aaa, driving, Metrolink, trains on December 12, 2010 by Kelson. 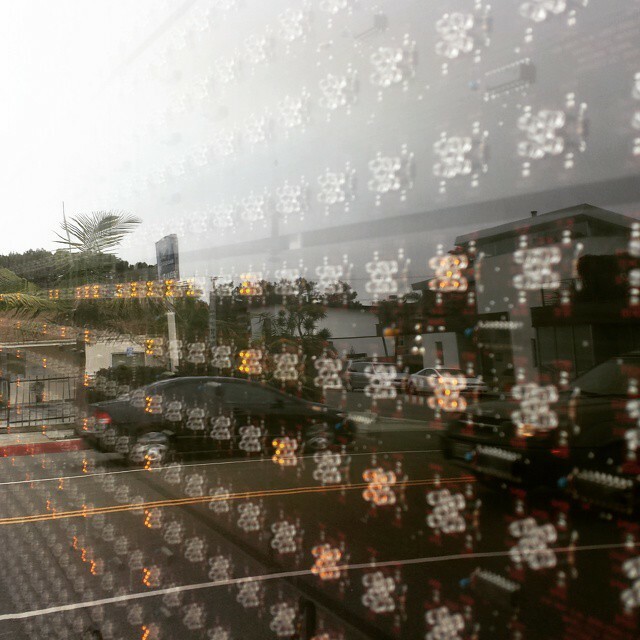 A couple of months ago I started a job near LAX. I live in central Orange County, 40 miles away. Unfortunately, that includes driving through the mess of Los Angeles freeways during rush hour. It’s a horrendously frustrating slog through stop-and-go and slow-and-go traffic that has me ready to gnaw off my own leg well before I get to work. It cuts my driving time in half. The part of the drive that it cuts out includes the worst of the traffic (east-west on the 105, or 405, or 91). I get some extra reading time. It’s relatively cheap ($1.50 each way, plus 35¢ to transfer to a local bus for the last mile). It saves a lot of stress. The main downside is that I can’t drive anywhere during lunch, but at least there are a lot of options within walking distance. Unfortunately, the parking lot in Norwalk is often full when I get there, so some days I end up driving the whole trip anyway. In theory, I could take trains the entire way. There’s a Metrolink station a couple of miles from where I live. Unfortunately, the Metrolink system and Metro system only share one transfer point: Union Station in Downtown Los Angeles. I’d have to go really far out of my way, and transfer across two or three different Metro lines. Or else stop at Norwalk/Santa Fe and take a bus across town to the Green Line. With all the extra transfers, it didn’t seem worth it. Still, the first day back at work after J was born, I figured my sleep-deprived self could use the break. The thing to remember is, Metrolink isn’t light rail. It’s commuter rail. The ride itself? Great. The trains were nice and roomy. Some of the cars had seats with tables. I even tethered my laptop to my phone to catch up on some blogging. It’s expensive. Metro costs $1.50 to ride anywhere in the system, plus 35 cents to transfer to a bus for the last mile. Metrolink costs me $7.75 each way, but includes free Metro & local bus transfer. Monthly passes, of course, would cut down both prices. Trains don’t run into the evening. The last Metrolink train heading south from Norwalk leaves at 6:51. With two buses and a train between me and that train station, and every transfer a potential delay. This time I lucked out: The bus I took from work got me to Aviation station just in time for me to catch the green line, which got me to the end of the line just in time for me to catch the Norwalk bus, which got me to the Metrolink station with 5 minutes to spare. Just a couple of minutes at any of those points could have added 10-20 minutes of waiting and left me scrambling for an alternate way to make those last 20 miles home. That last one is the kicker. For me, the main point of taking the train instead of driving is to reduce stress so that I can focus better when I need to. If I have to spend half the trip home worrying about making that last train, what’s the point? 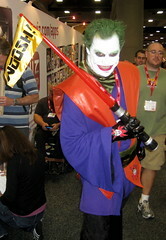 This entry was posted in Travel and tagged commute, driving, Los Angeles, trains on December 12, 2010 by Kelson.